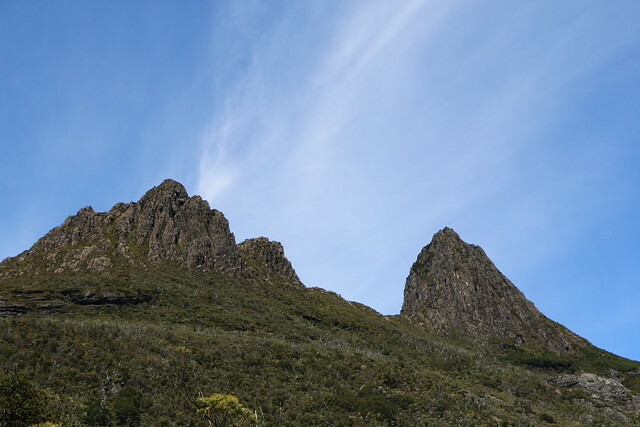 Tasmania, land of the Devil, and the other other state of Australia. That’s pretty much what you may come up with when initially thinking of Tasmania. After spending two weeks over December 2015 driving around the state I believe it’s worth a lot more of your attention than you initially may believe. And, yes, you can see the aforementioned Tasmanian Devil too. 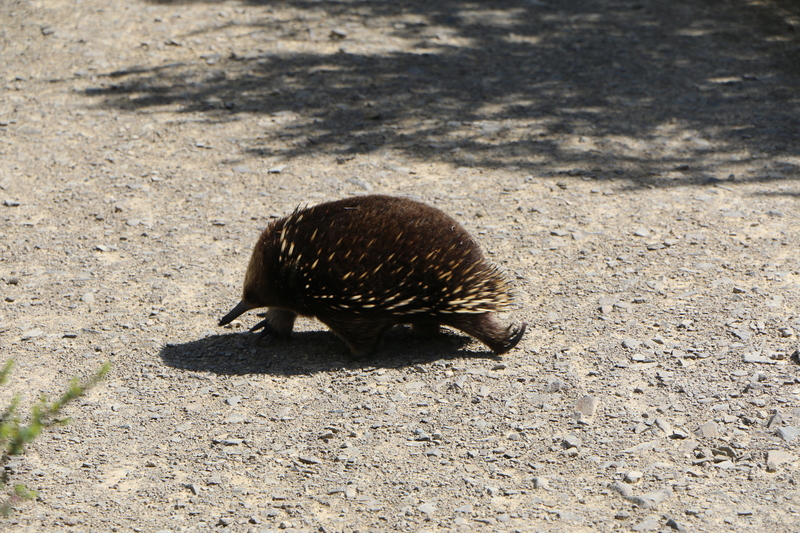 More often than not as roadkill, but you will see it all the same. Flights to Tasmania from Singapore (around 6hr 40 min there and 7:40 back) are best planned out through Melbourne as then it’s just a quick 50 minute flight down to Hobart. Flights were not the cheapest but Qantas will usually have a good fare and connections. Jetstar was considered on their 787 Dreamliner bird but economy Qantas will beat economy Jetstar any day. And it did. A word of note on Qantas; they are still upgrading the interiors on their A330s. The plane on the way down had the updated interior with great in-flight entertainment (seriously, the amount of movies was amazing. I binge watched Tarantino movies the whole way down..what the hell was in that suitcase in Pulp Fiction?) On the way back we were not so lucky and got the unrefurbished (not a word I know but this is the only time I will use it) A330 and it makes the in-flight experience that much more depressing. Tiny screens and tiny show/movie selections. Lilliputian if you will. Our driving route took us along the east coast from Hobart to St. Helen’s then across as far as Stanley (via Burnie) then back down to Hobart (via Cradle Mountain/Sheffield/Tamar Valley) for New Year’s. Let’s break down the areas we saw into a couple of different posts because nobody has the patience or focus to read crazy long blog posts anymore. 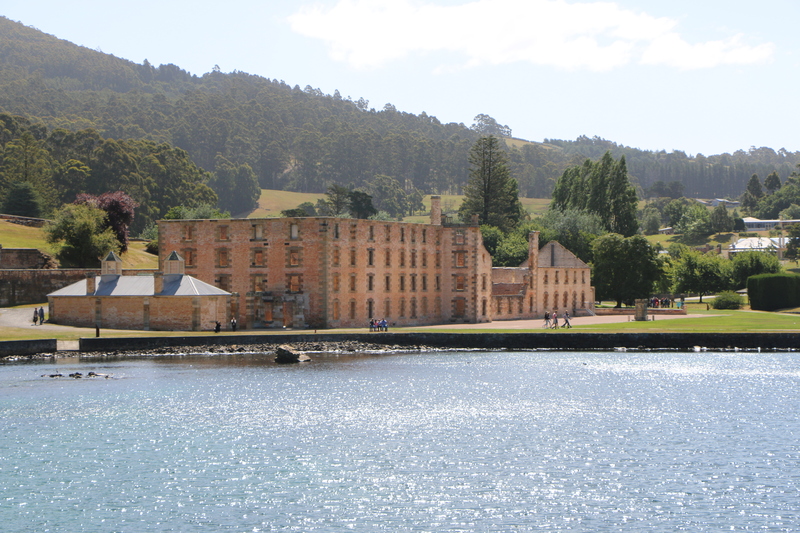 Sadly Port Arthur will always conjure up memories of the mass shooting that took place there in 1996 (government response should be equally remembered) but as a historic site of Australia’s former penal colonies it is worth a visit as it’s an easy hour and a half’s drive east of Hobart. We stayed in the Port Arthur Motor Inn (my Trip Advisor review here) which is so close to the Historic Site complex that your room key opens the gate to the complex. Which lead to a very interesting ethical dilemma because we walked around the complex for about 20 minutes looking for the main ticket office and we could have walked around for longer without paying the monumental $37 entrance fee. We ended up paying it. 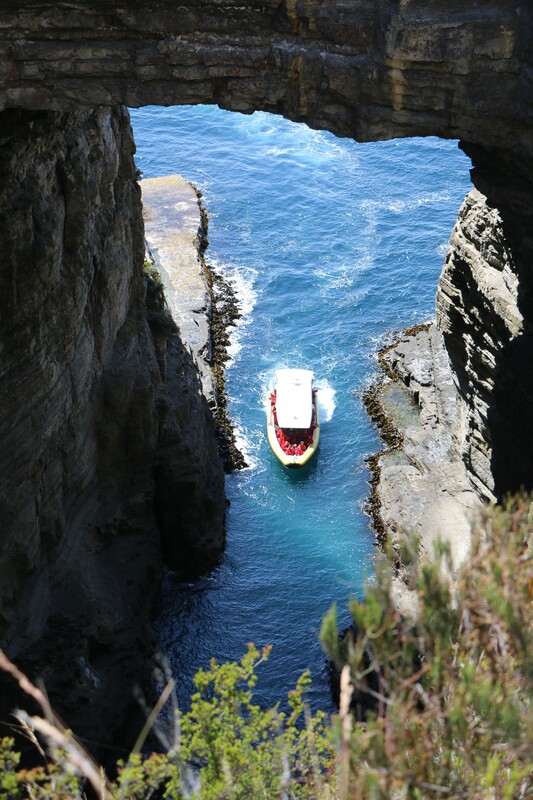 You get a guided tour (huge numbers of people with one guide, pretty meh..) and a small boat tour around the Isle Of The Dead included in the price. Meh. Port Arthur Motor Inn has a locals bar which is a good introduction to the local bar scenes of Tasmania ie. the bar stools have the stains of a million spillages and stories. 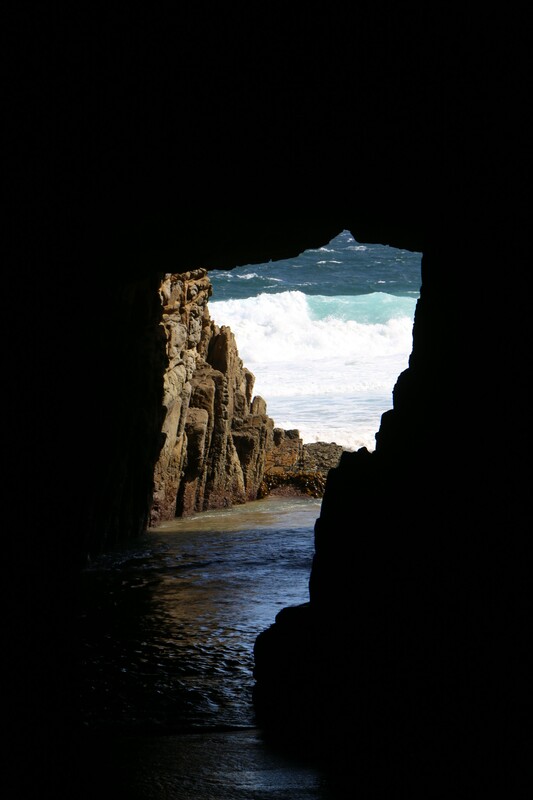 Around Port Arthur it’s definitely worth visiting Remarkable Cave (it is actually remarkable!) 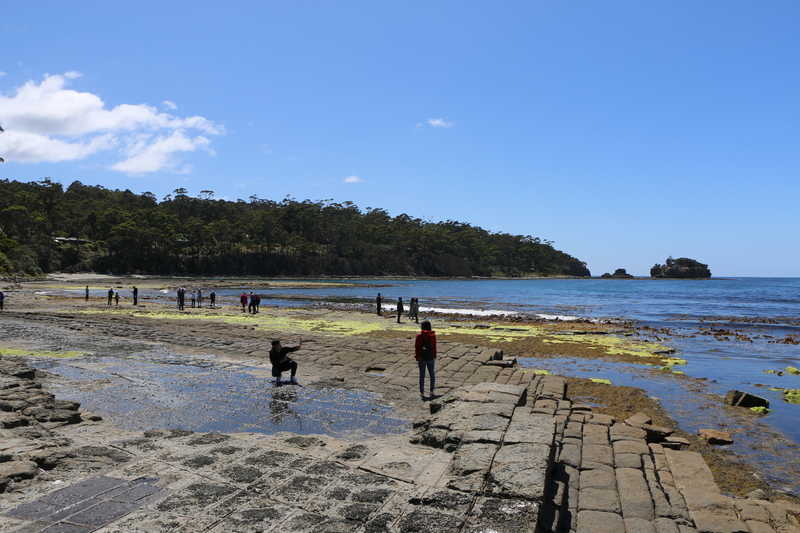 and the Tessellated Pavement (it’s more grid-like than tessellated) as they are very short drives. I like the concept of naming places in a descriptively opinionated manner. For example, the Louvre Museum would be Crowded Hellhole That Happens To Have Art. Remarkable Cave. Do you see the map of Tasmania? Onward up the east coast. 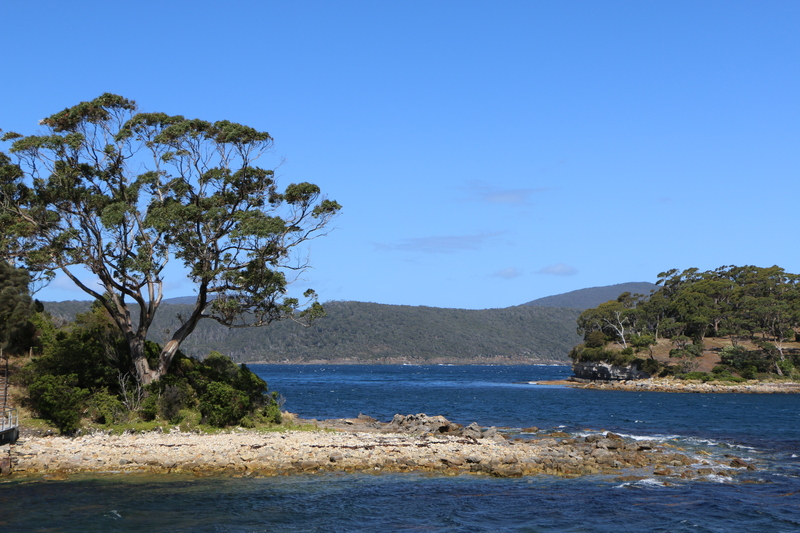 We stopped off in Triabunna as we skipped breakfast in Port Arthur. We found the Fish Van beside the ferry pier and had a fish and chips and veggie burger while trying to deter eager and hungry seagulls. 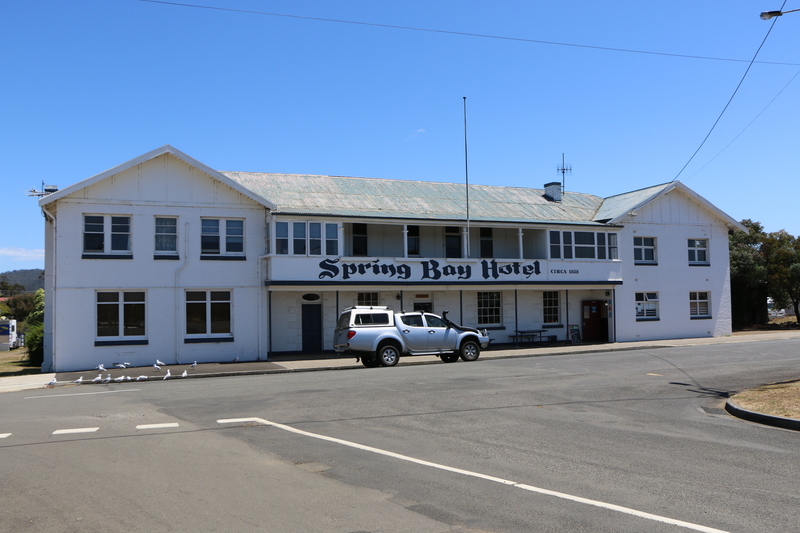 There didn’t seem to be much there apart from the ferry crossing to Maria Island and the quaint looking (from the outside) Spring Bay Hotel. On to Bicheno to meet up with old work friends. We probably wouldn’t have stopped here otherwise. Our friends took us on a walk around the town with the blowhole and orange lichen covered rocks a focal point. This was the second blowhole we saw in a couple of days. 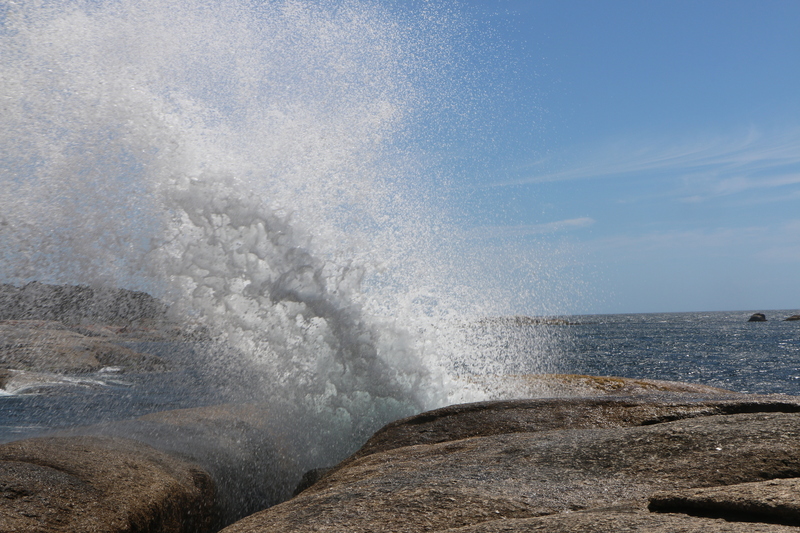 Where I’m from it’s called the tide coming in and hitting a rock. Hard. 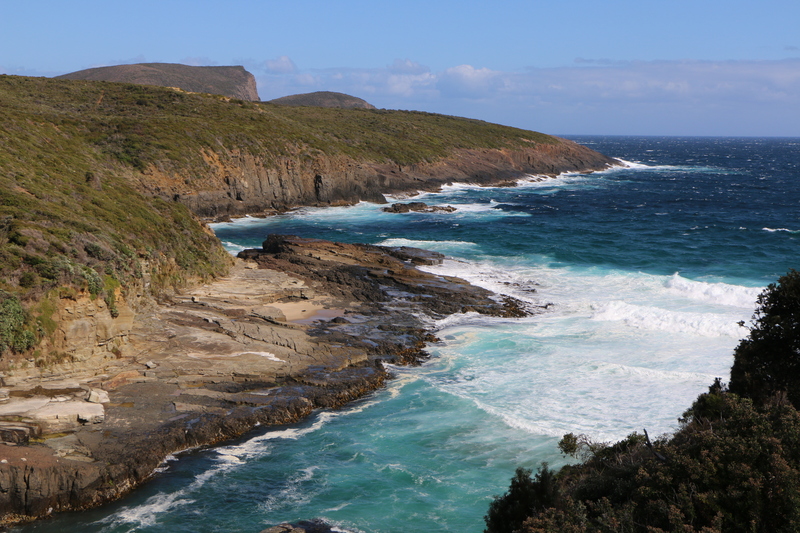 If you can stay until sundown at Bicheno you can see the little penguins coming home from a day of fishing. On our drive up to Swansea we stopped off at Ironhouse Brewery for a quick beer tasting and coffee. Not a bad little stop off on the way up the coast. We decided to stay in Swansea at the Swansea Motor Inn (my Trip Advisor review here) which in hindsight I would not do again. Swansea really has nothing going for it and had only one restaurant open in the evening for dinner. 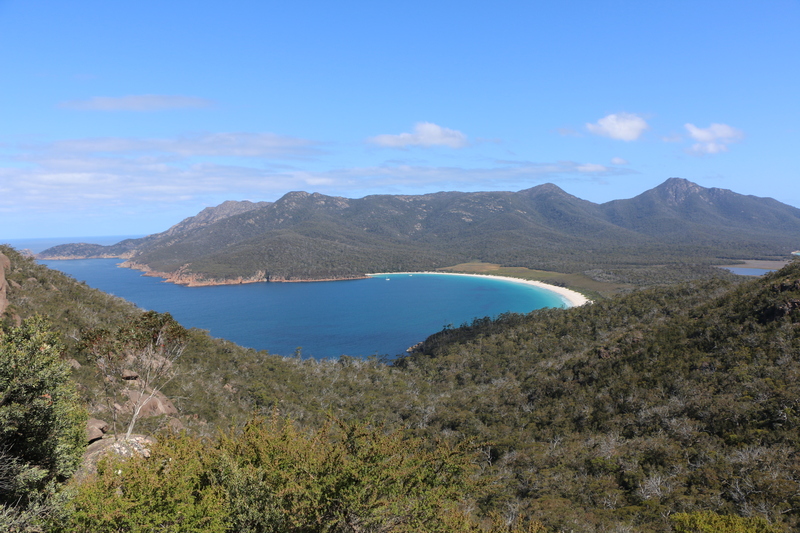 The main reason for staying in the region is to check out Freycinet and take one of the walks around that area. 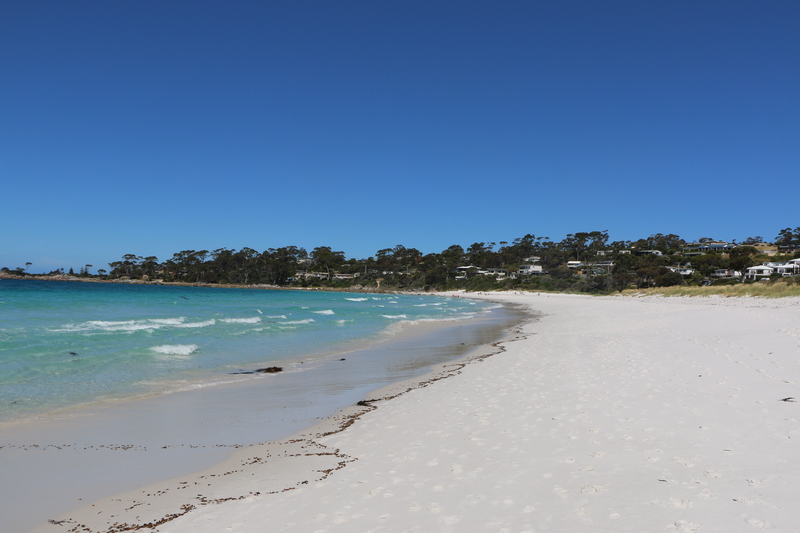 The hotel prices around Freycinet were crazy so Swansea it was. We drove the big loop around to Freycinet, which was just a bit too long and tiring, and took the walk up to the lookout over Wineglass Bay. 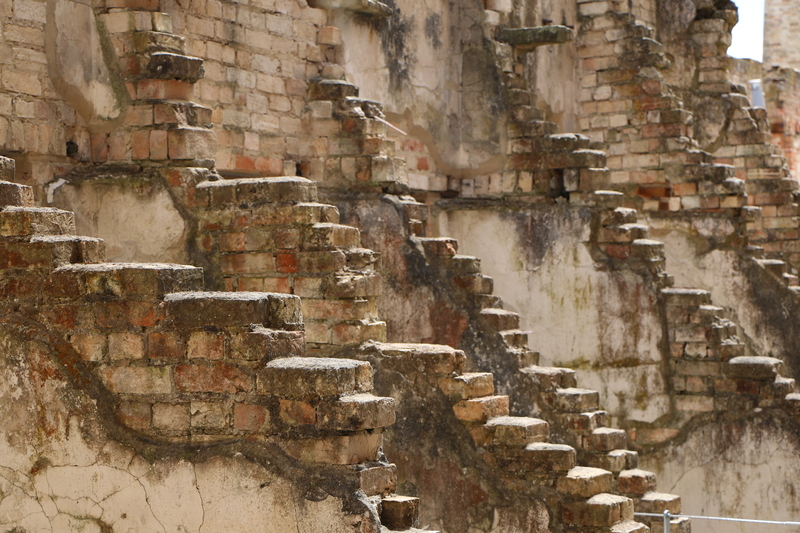 Fitness levels aren’t the best in our household and there are a few pretty steep parts going up; we saw many people struggle and stop along the way. But we made it up and it was worth the view. Again the drive back to Swansea was not what we wanted to endure after that. It was hell, ok? But we did it and had a good night’s sleep after (well, after finding something to eat). Don’t get me wrong there’s nothing wrong with Swansea but it’s kinda like a koala; it sits there, looks cute and does nothing at the end of the day. Our last port of call on the east coast was up in St. Helen’s. 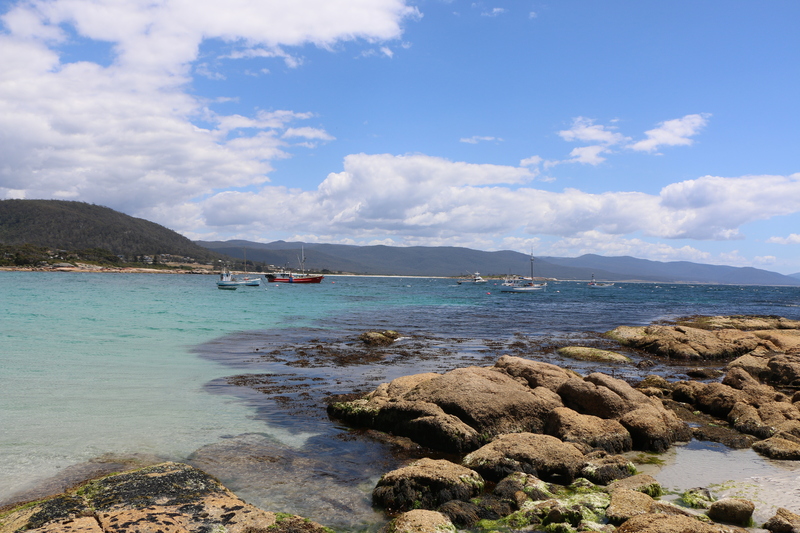 Not totally up there on the list of places to see in Tasmania Tourist Guides but it’s a nice little town with a shore teeming with bird life. 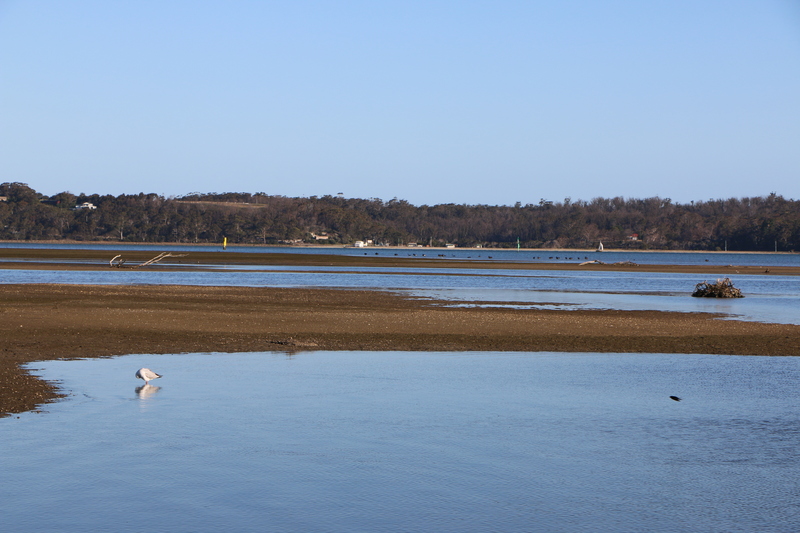 A short twenty minutes drive away is Binalong Bay which is worth it just for a stroll along the white sandy beach. 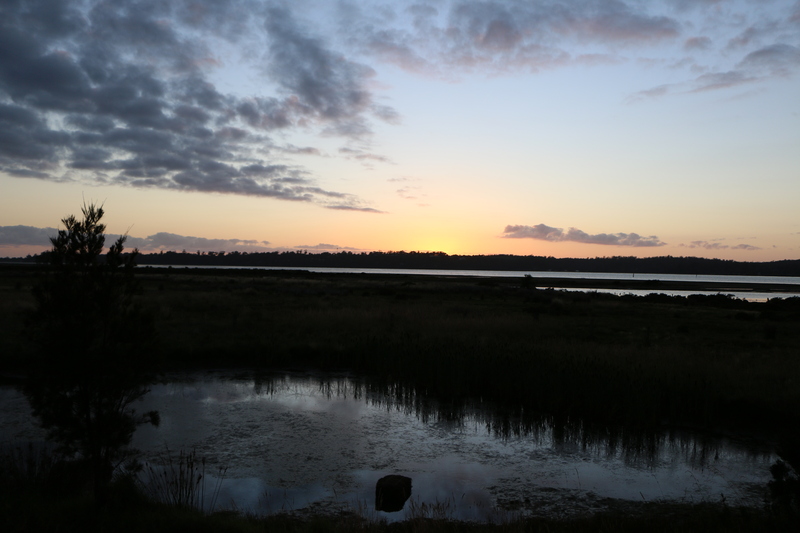 We stayed at Tidal Water’s Resort (my Trip Advisor review here) which made our stay at St. Helen’s more memorable due to the balcony overlooking the marshy coastland where we bird watched our evening away. Tidal Water’s is one of those places that advertise free wifi but it only works in a one metre square area of the lobby. On a Tuesday. After lunch. Annoying. Stay tuned for Part 2 where we venture over to Launceston, Burnie, and Stanley.